Capstar for cats is fast acting, instant flea removal treatment for cats. It provides effective flea control by killing adult fleas within 30 minutes of administering the tablets. Orally administered the tablets force fleas to perish within half an hour and kills 100% fleas within seven hours. 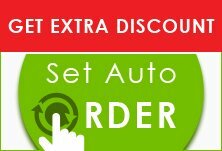 Easy to administer, the tablets are odorless and provide protection against fleas without causing any irritation. 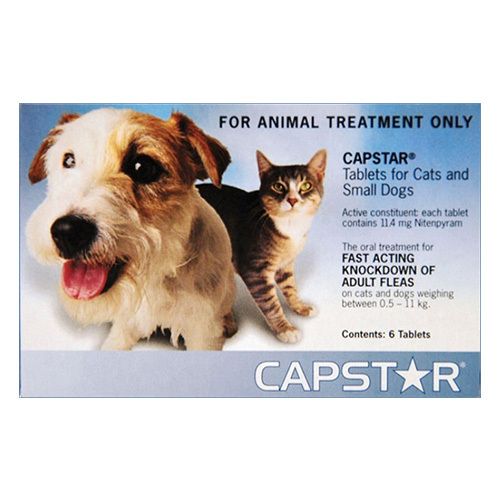 Capstar for cats are orally administered tablets for short-term flea treatment. The tablets contain nitenpyram, which is neurotoxin that blocks flow of neural messages in fleas thus resulting in the death of the parasites. By attacking the central nervous system, it instantly kills the parasites. By killing fleas immediately, it prevents them from laying eggs and stops multiplication of these parasites. Cats start scratching more in the first few hours as fleas react to nitenpyram. Within a few hours, it kills fleas putting an end to itching and irritation. Since it is a short-term treatment, do follow up with long-term treatment for long-lasting effect. These tablets literally saved my two cats from a nightmare they were living. I had tried everything before using this treatment (spraying the house, flea collars, and flea baths) but nothing worked. But with just one or two pills a week I haven't seen a single flea in months. If your pets have fleas, get them this pill now. I have never come across such an awesome flea preventive treatment ever. It works very quickly and so I always buy this treatment to give my kitty relief from pesky parasites. A very swift working tablet!!! My kitties scratch a lot during the warm weather. For long term flea prevention I use Revolution while for immediate relief Capstar is my go to treatment. Within hours of administration, my cats stop scratching. It is a real winner for my felines!!! This is the best product that I have ever tried. After giving this treatment, within a day my cat was free from fleas. It just worked quite swiftly on my furry pal without any problem. I would recommend this product if your cat is suffering from heavy flea infestation.